Previous message: [PA-NJ Glassblowers] Paul Stankard new book: "Studio Craft as	Career: A Guide to Achieving Excellence in Art-making"
"How do they keep these pieces so clean?" Dusting Fern Green Tower with a "muppet" wand. dyes and perfume used in Windex could be harmful to such delicate works. "And it's blue," explains Bunn, "No cleaning products should ever be blue!" returning them to their specific locations. Continuous Mile, which can be extremely tedious to clean. "Anything with multiple pieces or that's out in open air is a challenge,"
challenging because there are lots of parts and pieces, nooks and crannies. thread with glass beads on it and then it's woven together." that is wafted in through the front entrance. numerous components to be lowered for cleaning in a safe way. 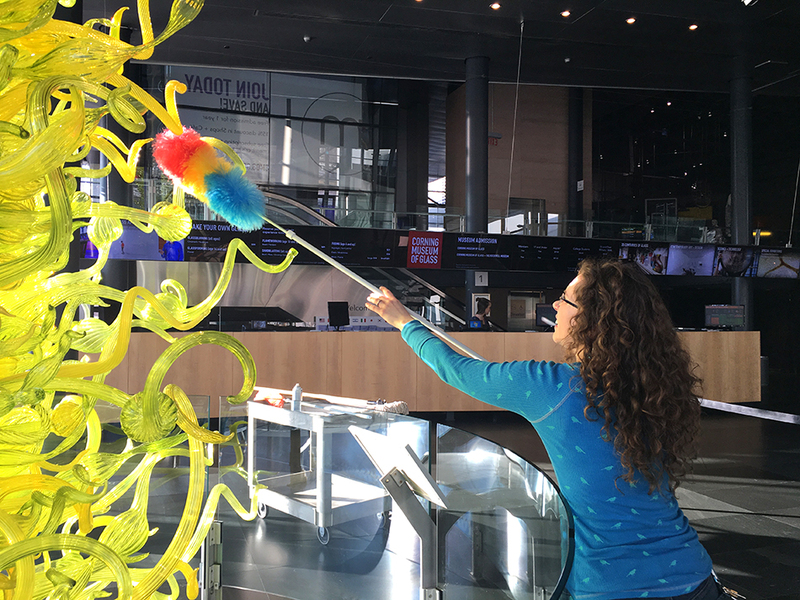 The Collections & Exhibitions team clean the elements of Forest Glass. 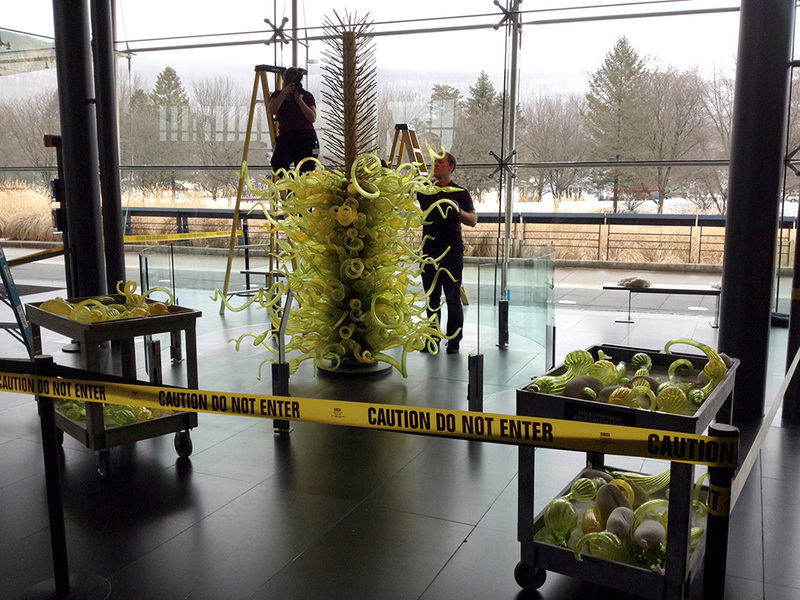 The Collections & Exhibitions team re-assemble Forest Glass after cleaning. Museum and move to the other end." it seriously and work hard to make sure everything looks great," he said. even register that we're doing our job."